I know what you are thinking, another Steve Jobs movie. Yes, but unlike Jobs the 2013 film starring Ashton Kutcher, Steve Jobs does not appear to be a biographical account of his life. Instead, this film will peek behind the scenes of three important Apple keynote events, ending with the 1998 announcement of the iMac. We will also expect to see some flashback scenes that fill in the details of Jobs’ highs and lows during Apple’s early days. Why is Steve Jobs such an icon? Most of you will know that under Steve Jobs’ leadership Apple grew from an alternative computer manufacturer to the largest company in the world. Of course, the degree to which his leadership propelled Apple into the limelight has always been a point of discussion within the tech world. Was Steve Jobs a brilliant and pragmatic leader who pushed his employees to excellence, or was he a borderline-psychopath who only drove people to succeed by fear? Potentially, the question will be answered with Steve Jobs, the trailer for which is below. 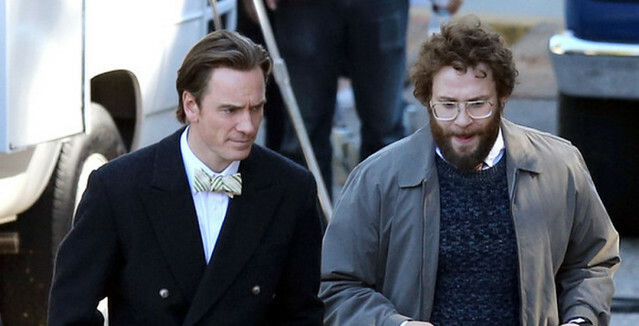 Will you be watching Danny Boyle’s take on Steve Jobs’ life? Let us know on Twitter.